From people who know what you're going through. Endometriosis is a condition where the tissue that normally lines the inside of the uterus actually grows outside of the uterus instead (typically on your ovaries, fallopian tubes, or pelvic organs). And — as people who deal with it very well know — it can cause severe pain, inflammation, and even the formation of scar tissue. That's because the displaced endometrial tissue continues to do what it'd do inside the uterus — it thickens, breaks down, and bleeds with each menstrual cycle. BUT THEN, IT HAS NO WAY TO EXIT YOUR BODY. So, we asked members of the Buzzfeed Community who have endometriosis to share the little ways they take care of themselves. Here's what they had to say. FYI, these aren’t meant to be a substitute for medical advice; they’re tactics that have worked for others and might work for you, too. Be sure to check with your doctor before trying anything new for your endo symptoms. 1. 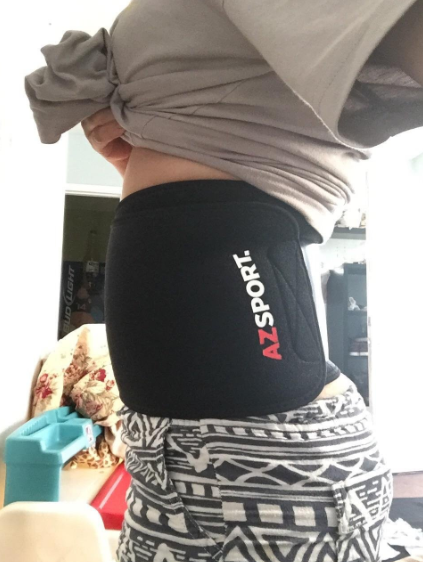 Heating pads, heating pads, heating pads. Get one from Amazon for $24.99. 2. Or DIY a microwaveable heating pad with a sock and some rice. 3. And then, even more heating pads you can take on the go, like ThermaCare Menstrual Cramp Relief Heat Wraps. Get a pack of three from Amazon for $9.30. 4. Slather on some CBD balm. Try CBD Body Cream from Extract Labs for $50. For more information on the deal with cannabidiol, read this guide. 5. Or ingest a CBD tincture. Try CBD Pain & Wellness tincture from Lord Jones for $60. 6. Or (and I swear this is the last CBD suggestion, but *so* many people submitted them!) soak with a CBD bath bomb. Get a CBD Bath Bomb from Kush Queen starting at $6. 7. Epsom salt baths work wonders, too. Take a really warm bath with some epsom salts. The warm bath relaxes your uterus and the epsom salts relax the rest of your body. It won't last forever, sadly, but it's kind of like a mini spa day. Get a 19-pound bag from Amazon for $27.99. 8. Don't feel guilty for taking breaks and resting when you need. 9. If you're not already in therapy, consider starting so you have someone to lean on when times get tough and overwhelming. 11. Take some time to research and educate yourself on endo. 15 Things Anyone With Endometriosis Needs To Know might be a good place to start. 13. Join a funny meme group on Facebook or follow some joke accounts on Instagram so you can laugh/cry with people going through the same thing. 14. Stock up on comfortable clothing that you love. 15. Practice deep breathing to ground yourself when you're dealing with a lot of pain. 16. Add endo-friendly exercise to your routine if you can. 17. Cut down on inflammatory foods to see if it helps. 18. Consider trying weed if it's, you know, legal where you are. 19. 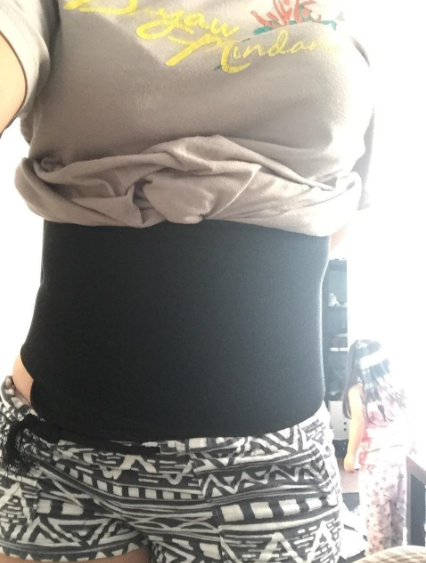 Wear a neoprene belly wrap when you're painfully bloated and need to get stuff done. 20. Focus on a task like coloring to distract from your symptoms. 21. If you have the means and time to care for one, consider getting an animal companion. 22. Nourish yourself with smoothies when you feel too bloated to eat. 23. Surround yourself with people who don't doubt or belittle your experience. More than anything, you need people who listen to your experience, acknowledge your pain, and stand in your corner. My partner, my doctor, and many of my friends held my hand and were with me every step of the way when my symptoms became worse, when I finally got a diagnosis along with treatment, and now that I'm at last enjoying my life all the weeks of the month. 24. And tbh, you can't go wrong with a lot of chocolate.